Dark, lavish, breathtaking- tanning decadence in a bottle. Crafted in small batches with the finest ingredients, this advanced black bronzer bestows skin with an extensive bronzing recipe & spicy tingle for the deepest bronze with an unmissable tingle. Your perfect color is complemented with a heavenly blend of conditioning butters, providing unparalleled feel & glow. 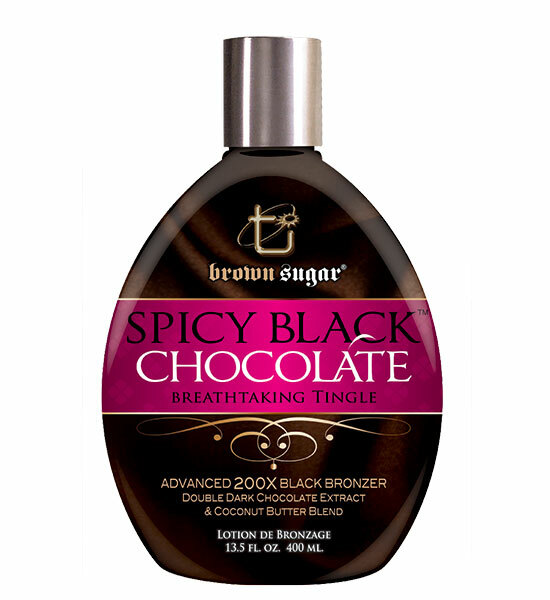 Spicy Black Chocolate is an exceptional & invigorating experience worthy of your favorite addiction.